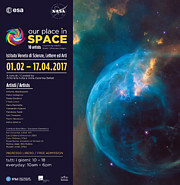 The new travelling exhibition Our Place in Space will be on display from 1 February to 17 April 2017 in the Istituto Veneto di Scienze, Lettere ed Arti, Palazzo Cavalli Franchetti, on the banks of the Grand Canal in Venice, Italy. By seamlessly integrating perspectives from both artists and astronomers, it will inspire visitors to think about how humanity fits into the grand scheme of the Universe. Since the dawn of civilisation, we have gazed up into the night sky and attempted to make sense of what we saw there, asking fundamental questions such as: Where do we come from? What is our place in the Universe? And are we alone? As we ask those questions today and new technology expands our horizons further into space, our yearning for their answers only grows. Since its launch in 1990, Hubble has continued this quest for answers. It symbolises the human urge to explore, because it contains technologically-advanced instruments designed to discover and observe unexplored objects in the Universe, and also because it was designed to be serviced in orbit by astronauts. Hubble has not only made countless astronomical discoveries but also brought astronomy into the public eye, satisfying our curiosity, firing our imagination, and greatly impacting our culture, society, and art. Our Place in Space features iconic Hubble images, extending from our own cosmic backyard — the faces of Mars, Jupiter’s Great Red Spot, Saturn’s intense aurorae — out to a stunning selection of far-flung galaxies, nebulae, and other astronomical phenomena. But alongside the scientific interpretation of the Universe, the exhibition also taps into the vast imaginations of prominent Italian artists, who have produced pieces inspired by what Hubble has seen. The artworks range from oil and mixed media on canvas to alabaster-sculpted nebulae, and from planetary spheres encrusted with mosaics of Murano glass to a spacecraft built from recycled wood, plastic, and toys. A combination of images and videos, artworks and installations enable visitors to experience the different visions of astronomers and artists. This fusion of science and art provides a more unique and complete view of our Universe and our understanding of it. 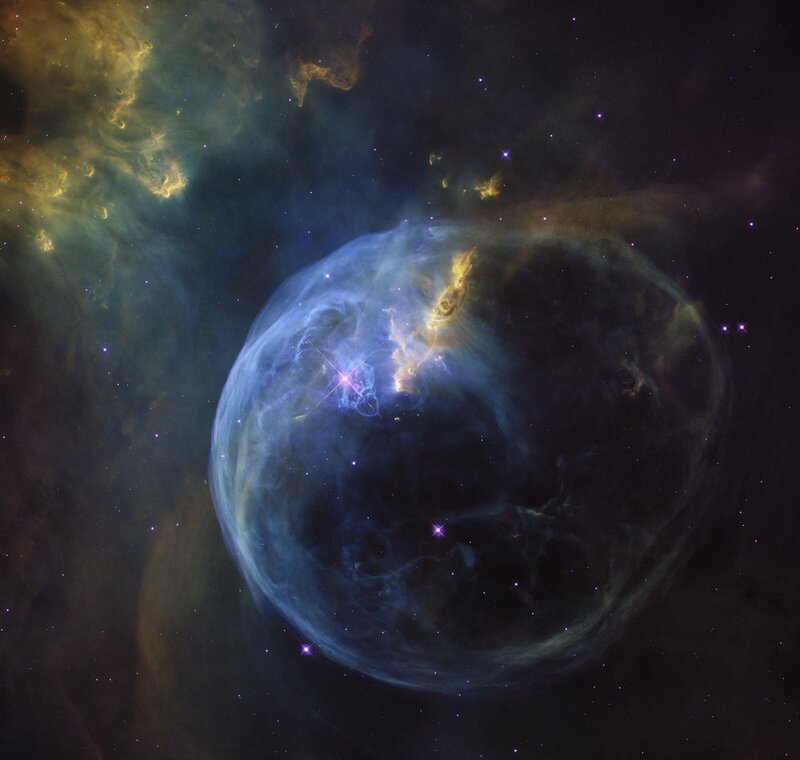 The Instituto Veneto has previously hosted the exhibition The Hubble Space Telescope: Twenty Years at the Frontiers of Science, or Il telescopio spaziale Hubble, alle frontiere dell’Universo, in 2010. 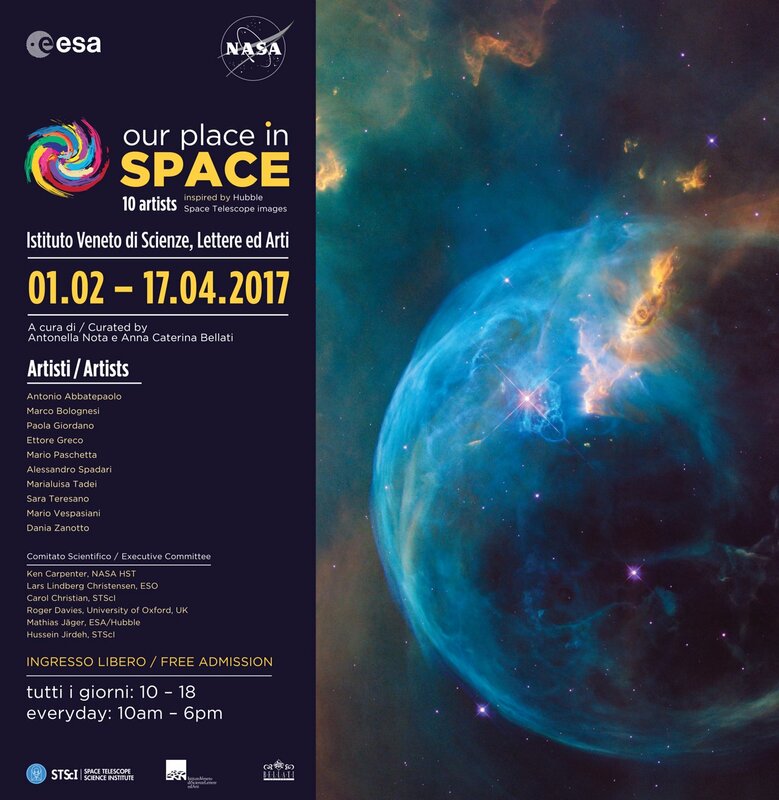 This exhibition was a stellar success, visited by 12 000 people over the course of a single month, and it marked the beginning of a partnership between the Istituto Veneto di Scienze, Lettere ed Arti, the European Space Agency, and the Space Telescope Science Institute.